Google is finally rolling out the "walking feature" in the Google Maps App. It was first introduced at the Google I/O conference last year. This is currently rolling out to local guides (community reviewers) for time being. It will soon be available publically, but it needs "more testing" before it is available to more users, as Google said. The AR Navigation allows you easy navigation, efficient directions and helps GPS locate you precisely. 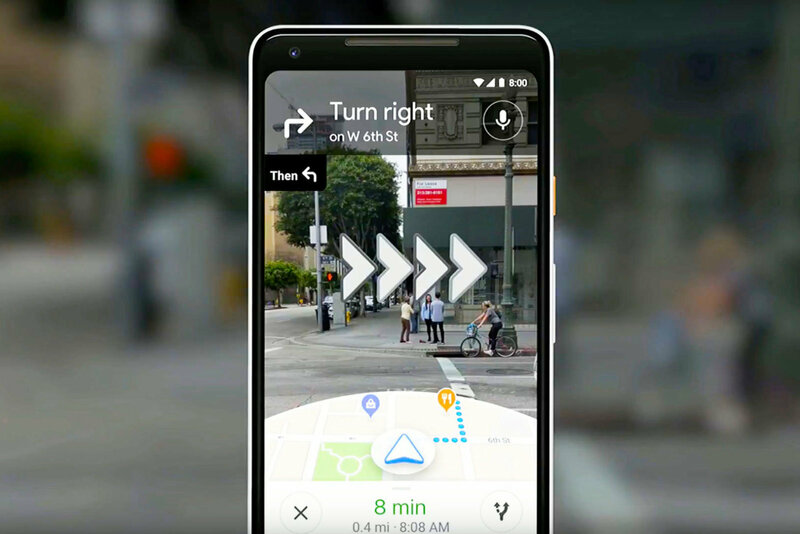 You can navigate through Google Maps with an AR overlay of 3D arrows showing directions. When you start AR mode, it uses GPS to get your location and aquires the view of your camera; then the arrows guide you to destined location. There are also gestures showing you your distance to next turn and when you have reached the exact location, however there appearance is not final yet. Google has considered your security while implementing the feature. If you hold the phone up for a long time, you will get a prompt to lower it and the screen will eventually turn off if you don't for quite sometime. This is to prevent you from bumping into people and also to ave your precious battery.